Enjoy a fun day out with your family AND your four-legged friend. 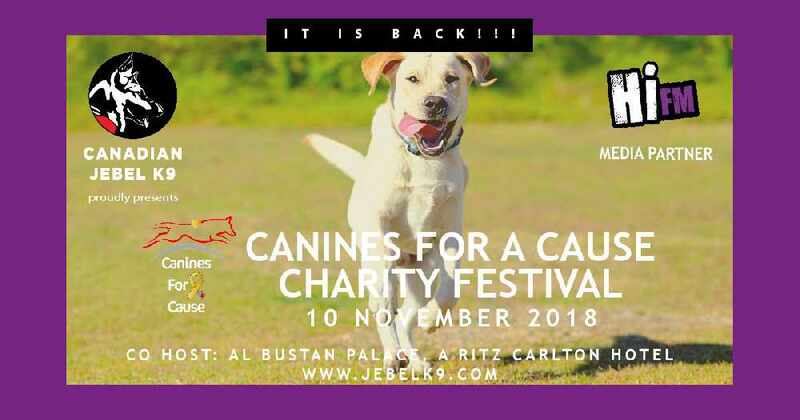 On November 10th at the Al Bustan Palace Canines For A Cause Charity Festival. It's taking place from 10 am until 4 pm. 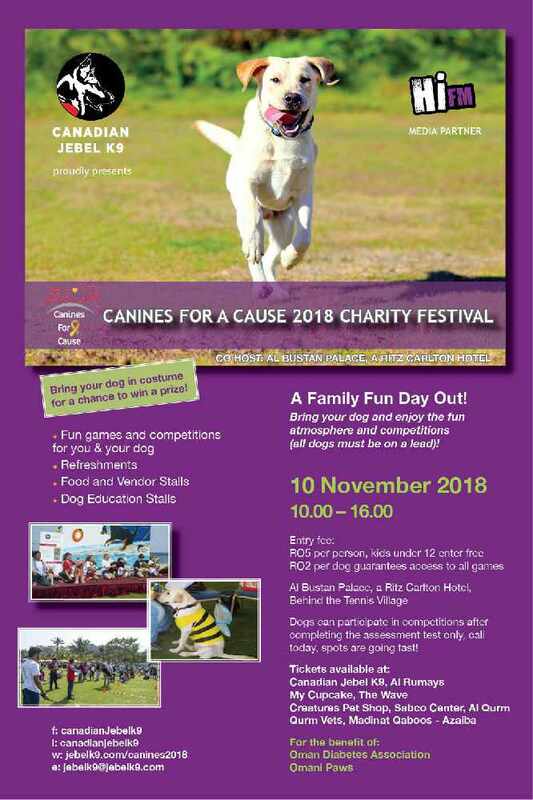 There will be plenty of fun games, competitions, and activities, throughout the day and if you dress your dog in a costume you might just win a prize! Entry fee: 5 OMR per person (Kids under 12 years free). 2 OMR per dog, this guarantees access to all games. All proceeds will go to the Oman Diabetes Association and Omani Paws. 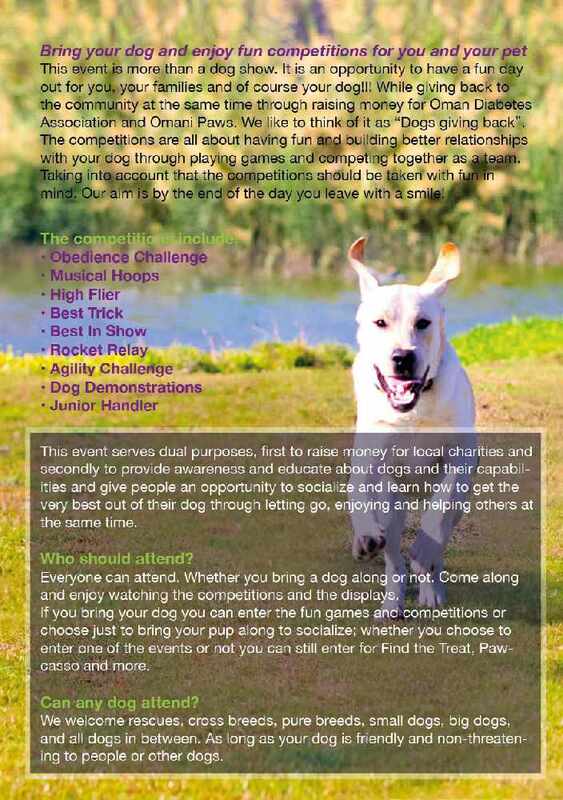 Also, you don't have to have a dog to attend; anyone can go along and watch! 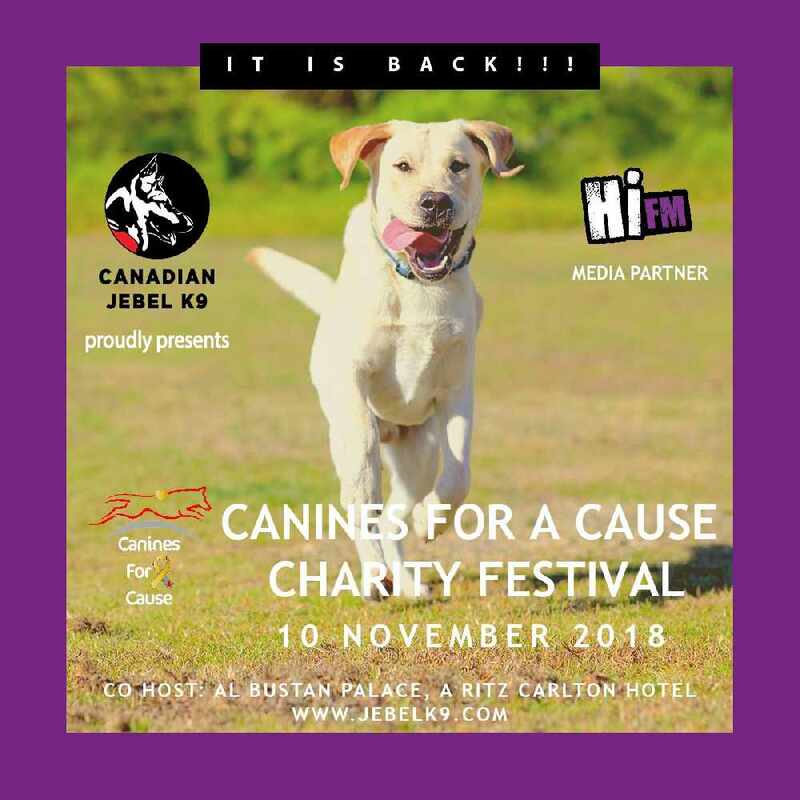 Tickets can be brought at: Canadian Jebel K9, Al Rumays, My Cupcake, The Wave, Creatures Pet Shop, Sabco Centre, Al Qurum and Qurum Vets in Madinat Qaboos and Azaiba.